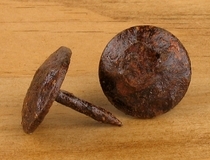 Our rustic decorative nail heads or clavos provide that authentic aged look, whether you are creating a rustic or cabin ready piece of furniture, re-purposing an old flea market find or just adding a rustic accent to your southwest or hacienda themed d�cor. 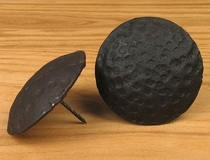 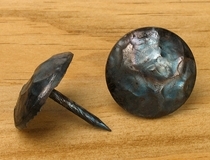 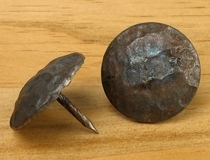 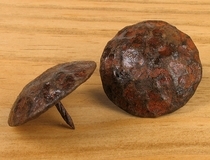 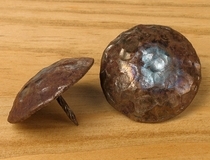 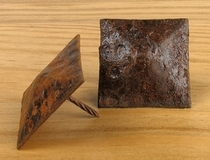 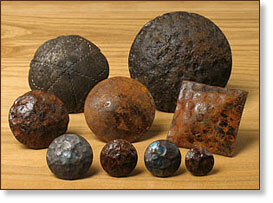 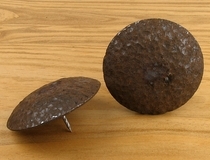 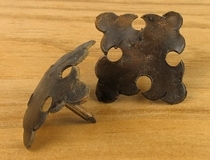 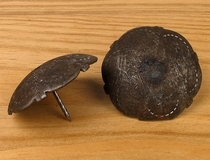 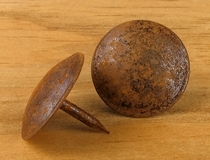 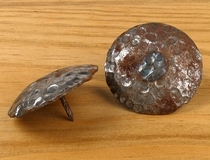 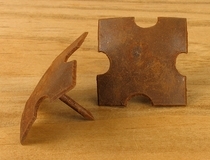 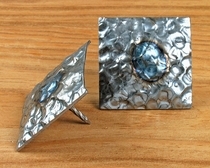 Hand crafted and antiqued in Mexico, you'll find our authentic hand forged clavos just the right look for your project. 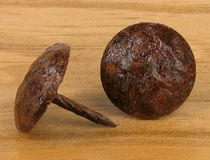 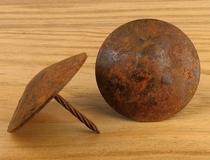 Available in a variety of sizes and shapes, these rustic iron nail heads can be used alone or with our hand forged furniture hardware hinges or straps. 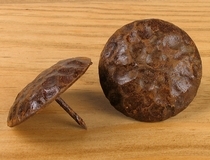 Square or round, smooth or hand hammered these hand crafted decorative clavos antiqued to achieve a patina that appears as if they were salvaged from centuries old missions or haciendas. 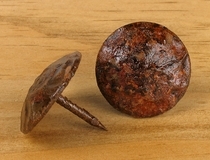 Click on the nailheads and clavos below for details and ordering. 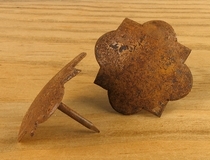 Rustic Iron Drawer Pulls, Handles and Knobs.